Have you spotted the Scholastic 12 days of Christmas gift guides yet? 12 different themes of gift guides packed full of books from the Scholastic Books children's book range. Each day has a different theme and their gift guide contains 12 different book ideas to suit that theme or age range; the guides are packed full of Christmas gift and stocking filler ideas for your little bookworms. Books for 8-11 year olds. Each gift guide contains 12 gift ideas and you'll get 20% off any of the books in the gift guide that day when you buy from Scholastic Books. 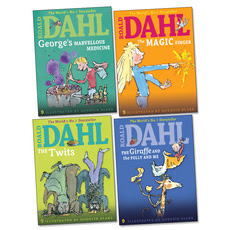 For instance, in the gift guide for 4-7 year olds you'll find a collection of Roald Dahl classics such as George's Marvellous Medicine and the Twits. 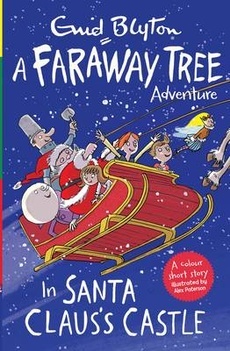 You'll also find a festive Enid Blyton Faraway Tree story and a David Walliams collection - all authors that Lara absolutely loves at present. Every day that scholastic share one of their gift guides on their blog, you'll also find one of the books to be won on Facebook and Twitter - there are plenty of Scholastic prizes to be won. But that's not all - don't forget that if you buy your festive books from Scholastic Books you'll also be giving back to your school or nursery with their #GiveABook festive campaign. Your nominated school get 20% of the cost of your order back in books. Additionally, Scholastic will be picking their favourite #GiveABook suggestions from Facebook, twitter and Instagram to choose a sack of £50 worth of books for your school or nursery so get sharing! You can find the full Scholastic Children's Books gift guide here.